Investors are losing confidence in the mineral exploration permit process in many Canadian provinces, including British Columbia, Ontario and Quebec, which has grown longer over the past 10 years and less transparent, according to a new report by the Fraser Institute. That conclusion is based on information collected from mining company executives, who evaluate mining policies in jurisdictions around the world. Their responses indicate that many Canadian jurisdictions are lagging behind their international competitors for increases in the time to permit approval, transparency and confidence that permits will be granted. British Columbia, in particular, appears to be a laggard on some measures, along with the territories, the Fraser Institute report said. Respondents indicated that not only were they waiting longer to receive their permits than they were in competing provinces like Ontario and Quebec, but British Columbia also offered less certainty throughout the permitting process. When asked about transparency in the permitting process, 50% of respondents in Ontario, 48% of respondents in British Columbia and 40% of respondents in Quebec cited a lack of transparency as a deterrent to investment. Based on the evidence presented, there is certainly room for many of Canada’s provinces and territories to improve the exploration permitting process, the Fraser Institute said. Policy reform in these areas may help Canada’s provinces and territories to unlock their considerable mineral potential, it said. The survey notes that Canada is home to one of the world’s largest mining sectors, with mineral exports accounting for $88.6 billion 2016. In the same year, Canada’s mining industry spent $8.8 billion on capital investment, and contributed $64.4 billion to nominal GDP. All this, while employing 403,000 workers and paying a yearly average of $2.6 billion in corporate income taxes and royalties to government revenues. To encourage investment in mining jurisdictions, governments need to put forth attractive and competitive policies, the Fraser Institute said. “This is particularly true for the exploration component of mining,” it said. The report notes that exploration comes with considerable risk. “To put this risk into perspective, one rough evaluation holds that it sometimes takes 500 to 1,000 grassroots exploration projects to identify 100 targets for advanced exploration, which in turn lead to 10 development projects, [one] of which becomes a profitable mine,” the report said. 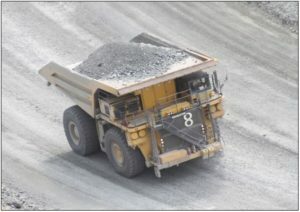 In such a risky environment, particularly when commodity prices are just starting to recover and the market is uncertain, as it continues to be, onerous costs and uncompetitive policies can discourage investment in exploration endeavours, thereby diminishing the chances that a viable deposit will be found and eventually develop into a producing mine. The Fraser Institute said this year’s survey was undertaken to get a better understanding of how timelines for permit approval, transparency and other issues in the permit approval process differ within Canada. It is hoped that the results will allow for a better understanding of how provinces and territories perform in this area and will serve as a starting point for future research aimed at identifying best practises for exploration permitting.